PALMDALE, Calif., Dec. 8, 2015 -- Northrop Grumman Corporation (NYSE:NOC) has delivered the center fuselage for Japan's first F-35 Joint Strike Fighter, an F-35A conventional takeoff and landing (CTOL) aircraft designated AX-1. 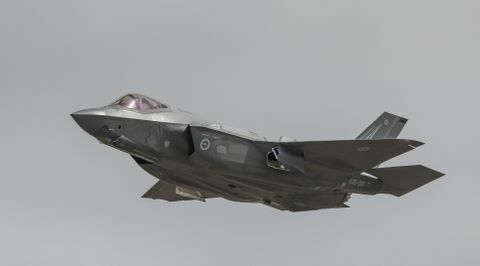 "This on-time delivery marks another important step in the F-35 team's drive to support and help fulfill our allies' 21 st century national security requirements," said Brian Chappel, vice president and F-35 program manager, Northrop Grumman Aerospace Systems. "We're proud of the role that Northrop Grumman's F-35 Integrated Assembly Line [IAL] is playing in increasing the affordability and availability of this fifth-generation, multirole fighter." The center fuselage is a core structure of the F-35 aircraft. As a principal member of the Lockheed Martin-led F-35 industry team, Northrop Grumman designed and produces the center fuselage for all three F-35 variants: the F-35A; the F-35B short takeoff vertical landing variant; and the F-35C carrier variant. Each F-35 receives an alphanumeric designation based on its variant type (A, B or C), the country for which it flies (e.g., F = U.S., K= United Kingdom, X = Japan), and sequence number of the jet. The AX-1 center fuselage is one of 42 F-35 center fuselages that Northrop Grumman is producing for Japan. 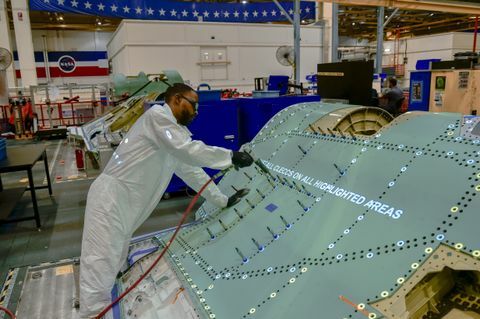 It is the 206th center fuselage that the company has produced at its Palmdale Aircraft Integration Center of Excellence, and the 44th such unit delivered this year. 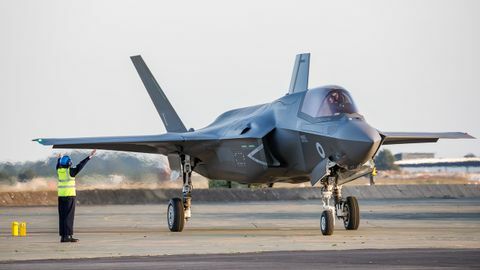 The first four Japanese F-35As, including AX-1, will undergo final assembly and checkout (FACO) at Lockheed Martin's F-35 facility in Fort Worth, Texas. The remaining 38 Japanese jets (AX-5 through AX-42) will be completed at Japan's new F-35 FACO facility in Nagoya, Japan. The IAL is a highly automated set of work cells developed to assemble – efficiently, affordably and with high precision – the center fuselage for all three F-35 variants. In 2013, the IAL was designated the "Assembly Plant of the Year" by Assembly Magazine, the first and only time to date that this honor has been bestowed on an aerospace and defense contractor. Northrop Grumman plays a key role in the development and production of the F-35 weapons system. In addition to producing the jet's center fuselage, the company produces its radar, electro-optical, avionics and communications subsystems. It also develops mission systems and mission-planning software; develops and maintains pilot and maintainer training systems courseware; and manages the team's use, support and maintenance of low-observable technologies.